Hey there! We’re the Bailey’s! 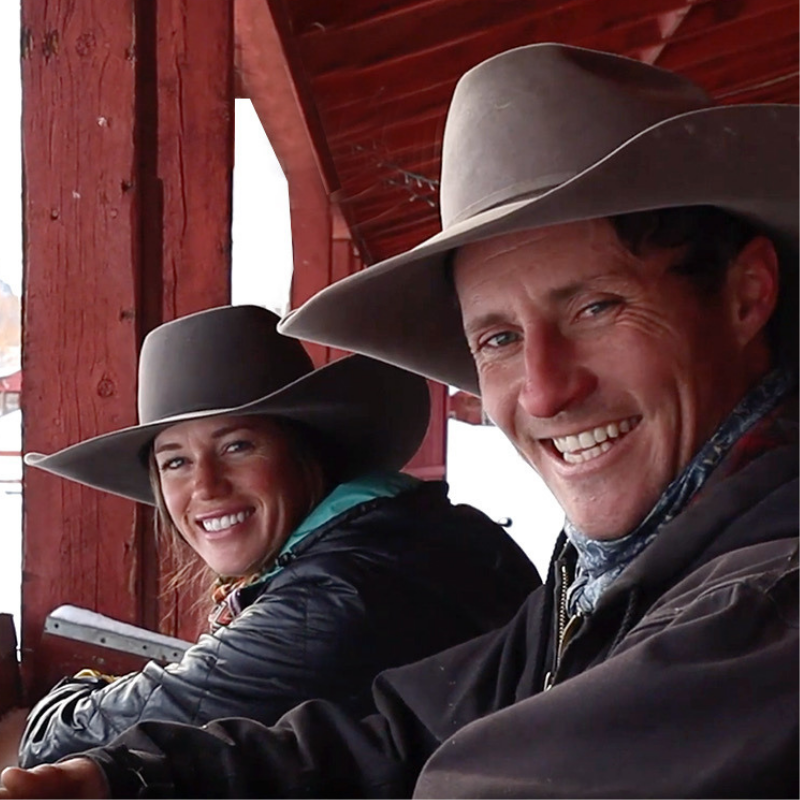 We live and work on our family ranch in Steamboat Springs, Colorado. Briana; I mainly handle the horse side of things on the ranch. I spend my days riding, training horses and keeping up with the daily barn chores. You won’t see me without my two German Shepherd sidekicks, Kolten and Jax. I also teach a younger group of kids how to ride and barrel race. On the weekends you can find me at a rodeo with one of my four legged teammates barrel racing myself. Sean; Sean handles everything else on the ranch. Hay, irrigation, fencing, the livestock. His cow dogs Gus and Frog make sure he doesn’t work too hard and keep a good eye on the Scottish Highlanders for him. Sean doesn’t let Briana have all the fun though, he starts most all the colts. In the fall Sean heads for the woods with his string of mules, where he hunts, packs and guides. We often joke “if you can pack it up, he can pack it in”. Elk camp is what he looks forward to all year long. We are so excited to be apart of the Greeley Hat Works team and look forward to representing a brand we use and love!